Hi everyone! Valentine's Day is just around the corner and of course we are seeing lots of pinks, reds and hearts! 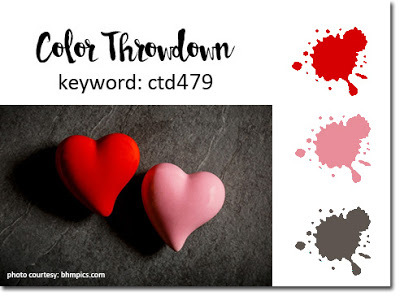 The new Color Throwdown Challenge #479 features those exact colors with a bit of gray thrown in. 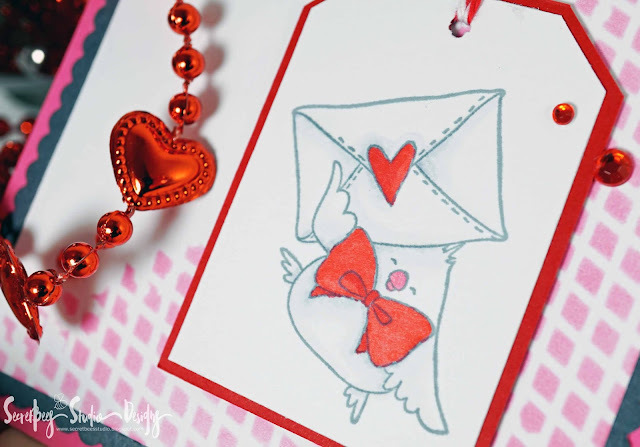 I didn't want to go overboard with hearts so I chose this adorable stamp from Stamping Bella that has just one tiny heart and the cutest chick ever! I know most chicks are yellow but, keeping with the color combo I went with monotone gray on the image so the colors would really pop! 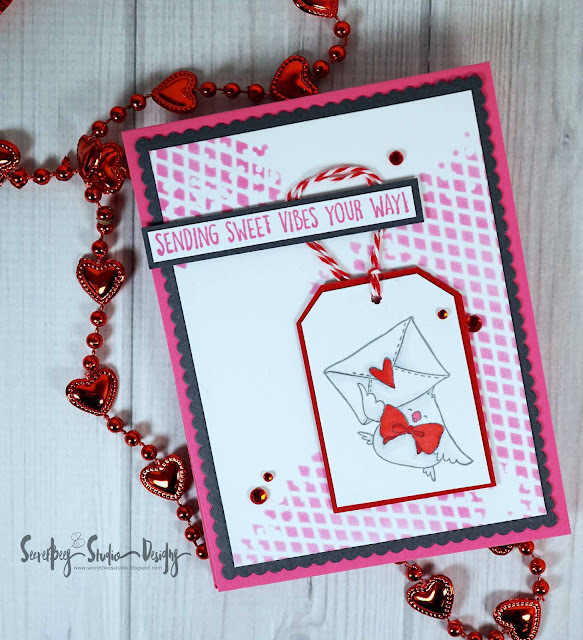 The background was inked with a stencil and then mounted onto a scalloped base that was an oops from an earlier card:) I cut out the image into a tag shape and added a bit of red behind it as well as some red twine and gems. 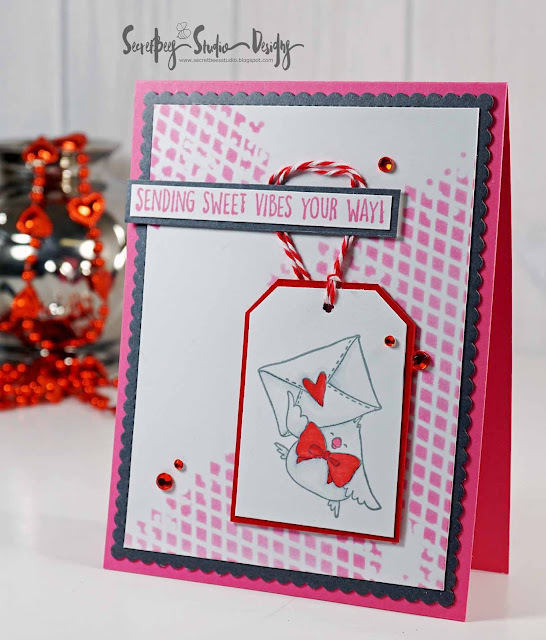 The sentiment, stamped in pink, tops the whole thing off! Cute design and sweet image! So happy you joined us at CTD!